With all the hype surrounding Rimowa’s recent collaborations with brands like Supreme and Off-White, there was one piece of news that went quietly under the radar. It was Rimowa’s new visual identity that was unveiled with the luggage house’s 120th anniversary since its founding in 1898 by Richard Morszeck Warenzeichen (take the first 2 alphabets of his name and you get Ri-Mo-Wa) in Germany. Gone is the pill-shaped frame and rounded letters and in their place lies a thin sans serif font that ‘encapsulates the timeless and considered nature of the brand’. Now, aside from the revamped logo, there are all-new colours like a bright red for a number of pieces under the Essential range that are totally hype-worthy. First up, going into the specifics of the luggage with the Essential, the world’s first polycarbonate suitcase that’s all about form and high-tech functionality. From the unmistakable grooves to the strong and durable case, it now comes in either a gloss or matte finish and is available in sizes ranging from Cabin S (EUR480) to Trunk Plus (EUR750). Then, there’s the Essential Lite that’s heralded as Rimowa’s lightest ever suitcase, designed to offer optimum stability in a weight that’s 30% less than the Essential. Available only in a Gloss finish, the Essential Lite is also priced a tad bit lower and available in sizes from the Cabin S (EUR380) to Check-In L (EUR520). There’s also a size just for kids with a volume of 19 L that measures 44 cm by 32 cm, also a great size for those looking for a smaller piece for a quick day trip or weekend getaway. Now, back to the colours. 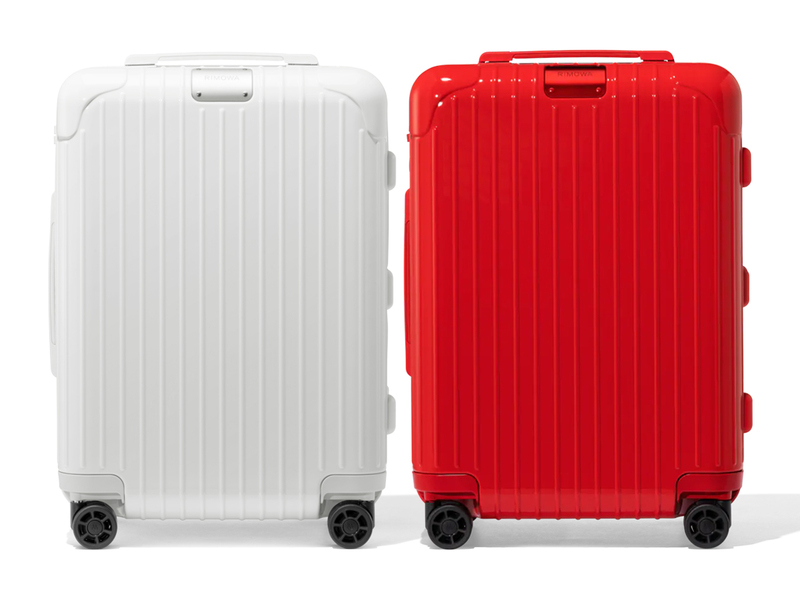 The Essential and Essential Lite come in a range of colours like the standard Black and White, as well as brighter hues like Blue, Green and a fiery Red that’s reminiscent of the one seen in the Rimowa X Supreme collaboration. While our local stores have not received pieces from the new collection, you can pick up a couple of pieces over on 24Sèvres, which offers free shipping on orders above EUR200. You can find the Essential Cabin S (SGD910) and Essential Lite Cabin S (SGD720) online, just add them into your shopping bag and have it delivered to you with duties and taxes included in the price stated, making it an all-round fuss-free experience right up to your door step.